– Desi Davila speaking about how she was on the “cusp of stardom” back in 2011 when she was 2nd at Boston. She and coach Keith Hanson talk about her ongoing comeback and training in Kenya ahead of Boston 2014. Rudisha averages 12.61 per 100m. Could most people be trained to run 100m that fast? At What Point Did You Give Up On Your Dream Of Being A Great Runner? Along with the oldest American first-time Olympians, we crunch the numbers and tell you which US 1,500 guys should "hang 'em up" before 2016 and why there is hope for Chris Solinsky to make his first Olympic team in 2016. *MB: At What Point Did You Give Up On Your Dream Of Being A Great Runner? *MB: When should a 3:38 guy give up the dream? Texas Track & Field Coaches Association Inducts Impressive 2014 HOF Class Includes Jon Drummond. 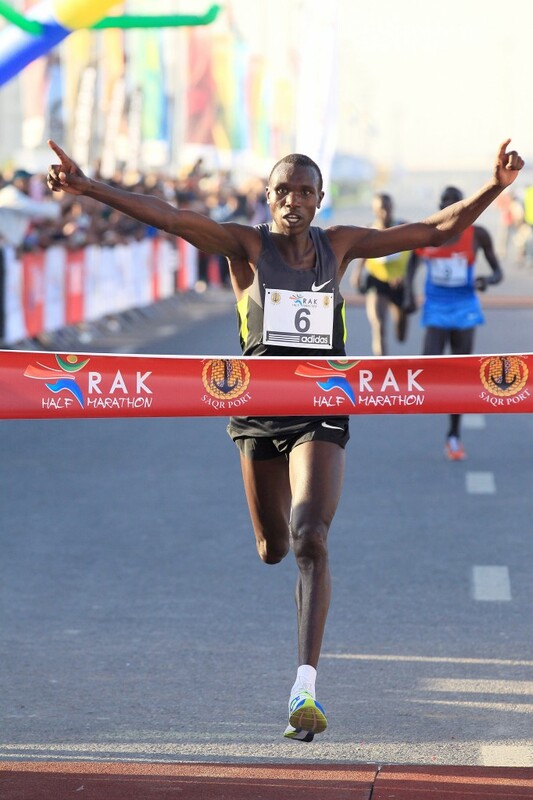 Loaded Fields Set For 2014 Chevron Houston Marathon – Aramco Houston Half Marathon To Host USA Half Marathon Championships Meb Keflezighi leads a men’s half field that includes Aaron Braun, Luke Puskedra, Shadrack Biwott and Josphat Boit. The women are led by Adriana Nelson, Serena Burla, Sara Hall, Mattie Suver and Lisa Uhl. 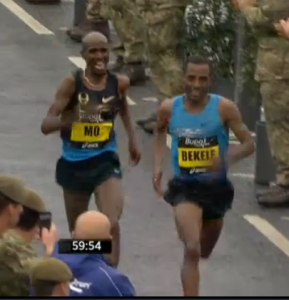 Defending champion Bazu Worku (2:05:25) leads the men’s marathon field while Afework Bekele (2:23:59) leads the women. UK Stars Will Compete At The Sainsbury’s Glasgow International Meet On January 25th Top names competing include Jenny Meadows, Tiffany Porter, Holly Bleasdale, Greg Rutherford, Robbie Grabarz and Shara Proctor. Also sub-10 man James Dasaolu vs. 2003 world 100m champion Kim Collins. UK Long Jump Record Holder Shara Proctor Shooting For Medals And Breaking 7m In 2014 She was disappointed last summer when she fouled on a jump that would have been over the 7m mark. Brooks PR High School Invitational In Seattle Moving Outdoors For 2014 The meet, which has been indoors in February the last few years, will now be June 21st. *MB: Did the Boston Marathon even try to get greatest ever in Kenenisa Bekele? Feb. 8 In Boston: Mary Cain, Nick Willis, Leo Manzano And Hagos Gebrhiwet Will Highlight Distance Action At 2014 New Balance Indoor Grand Prix Manzano and Willis will face off in the mile while Cain is racing 2,000m and Gebrhiwet in the 3,000m. Jenn Suhr and Ryan Whiting will also compete at the meet. Feb. 15 In NY: Bernard Lagat And Nick Willis Headline Paavo Nurmi 2,000m Race At The 2014 NYRR Millrose Games Also in the field will be Evan Jager, German Fernandez and Cam Levins. January 24th: Meselech Melkamu And Meseret Hailu Present A Formidable Duo At The Head Of Impressive Dubai Marathon Women’s Field The two 2:21 Ethiopians lead a field of 9 sub-2:24 women, including 2010 Dubai champ Mamitu Daska, 2011 NYC champ Firehiwot Dado and Masters runner Berhane Adere (2:20 PR). This Weekend: Linet Masai Will Skip Kenyan Police XC Championships This Weekend As She Travel$ The European XC Circuit The race will still have plenty of competition though with World junior champ Lucy Kabuu, Edna Kiplagat, Florence Kiplagat and World 5,000m silver medalist Mercy Cherono. May 25th: 2012 Boston Marathon Champ Wesley Korir Will Race Ottawa Marathon We assume this means he’s not doing Boston. Did You Know A Harder Warmup Can Help You Race Faster? Study shows runners who did strides with a weight vest on ran faster in a peak running speed treadmill test and had better running economy on a 5-minute run. Russia’s Olympic 800 Bronze Medalist Ekaterina Poistogova And Her Husband Stepan Win 1,000m At Yalamov Memorial Indoor Meet Ekaterina won in 2:43.92 while her husband ran 2:20.59. Bring Back The Mile’s 4 Wishes For The Mile In 2014 The first listed is a good one: That the IAAF accept mile times for the 2015 World Championships and 2016 Rio Olympics. New Study Suggests That You’re More Likely To Run For Your Whole Life If You Run For Reasons Other Than Success Those who only run for wins or PRs often quit once they’re over the hill. Day 1 Of Sherone Simpson’s Doping Trial: Claims Supplement New Trainer Gave Her Caused Her Positive Test She said she spent 14 hours researching the supplement before taking it and didn’t find anything in it on the banned list. But she also admits she did not disclose it on doping control forms. Many Are Upset With the UKA CEO’s Big Pay Bonus, But The Guardian Asks If Niels de Vos Is Worth It This article points out that De Vos has saved UKA millions and secured lucrative sponsorship deals such as the move from adidas to Nike. More From Japanese Ekiden Team That Had Kenyan Team Member Drop Out Of Hakone Ekiden With A Fractured Fibula The rest of the team all ended up still getting to run their stages, they just couldn’t count in official results. Indian Sprinter Amiya Mallick Will Work With Glen Mills And Usain Bolt’s Training Group In Jamaica For 4 Months Mallick is hoping to learn from the world’s top sprinters and improve his 10.69 and 21.22 PRs. LRC Garrett Heath Over Asbel Kiprop And Kenenisa Bekele; Chris Derrick Dominates 2014 got off to a great start for Americans Garrett Heath and Chris Derrick as Heath beat both Bekele and Kiprop to win the 4k and Derrick dominated the 8k. It was a long day for the American women. Also, who finished higher? The third placer at Foot Locker or third placer at NXN in the junior boys race? IAAF Recap: USA’s Heath Upsets The Stars In Edinburgh Heath, who is aiming for World Indoors, blasted Kiprop on the finishing hill, “I just put my head down, sprinting and hoping that nobody would come past me.” Derrick’s getting ready for USA XC and ultimately the Brussels 10,000. 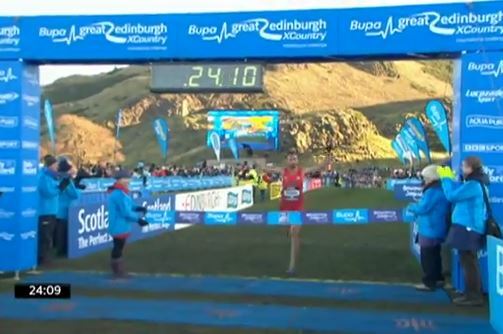 MB: Great Edinburgh XCountry 8K – Derrick Dominates!! 2011 World Jr. XC Champ Geoffrey Kipsang, 2009 World XC Champ Florence Kiplagat Win 2014 Kenyan Police XC Champs If the Kenyans don’t put the 58:54/2:06:12 21-year-old Kipsang on the World Half team in March in Copenhagen, they are foolish. Kiplagat, who won Berlin in Sept, remained red hot as she also won in Delhi recently. IAAF Recap Geoffrey Mutai said he wasn’t on top of his game here as he’s packing some extra weight and recently had malaria. He is thinking about focusing on XC for a while and running the African Cross-Country Championships in March. Keith Hanson Talks About Desiree Davila Training In Kenya And Says He Thinks She’ll Be Ready To Contend For The Win This Year At Boston Her fall comeback races along with recent training tell them she’s on her way back to where she was in 2012. With Lindsey Vonn Out With Injury, Could Lolo Jones Fill The Role As USA Golden Girl For Sochi 2014? She’ll have to make the team first and that will be announced on January 19th. In her first race as a pro, Cain lost but ran the 7th-fastest 500 ever. *Alberto Talks About Cain’s Races: He talks in great detail about her form changes, which Cain described incorrectly, and reveals she’s behind on her mileage but faster than last year. Bernard Lagat Will Face Kenyans Augustine Choge And Edwin Soi Over 3,000m At Karlsruhe, Germany Indoor Met Feb. 1st This is a 3K rematch from the last Indoor World Championships where Lagat beat Choge and Soi. USTFCCCA’s The Warm-Up Lap: What You Need To Know For The Start Of The 2014 NCAA Indoor Season Includes look at meets this weekend. NYRR To Host 37th Annual Empire State Building Run-Up On February 5th 1,576 steps and 86 floors. Japan Running News Preview: National Women’s Ekiden Leads Weekend Road Action Also this weekend Yuki Kawauchi will race at Tokyo’s Tanigawa Mari Half Marathon. MileSplit Weekend HS Coverage: National Sophomore Record In 55m Hurdles Grant Holloway ran 7.28. Olympic Hepathlon Champion Jessica Ennis Is Pregnant And Will Miss 2014 Season This means she’ll miss the 2014 Commonwealth Games in Glasgow, but says she’s committed to coming back for Rio 2016. Paula Radcliffe Talks About Coming Back From Childbirth She warns Jessica Ennis not to rush back like she did. Scientific Evidence Says Athlete-Mothers Can Actually Physically Benefit From Pregnancy Science shows that mothers often have an increase in red blood cells and certain hormones including testosterone. There were even rumors in the 1970s that female East German athletes were getting pregnant and having abortions because of the benefits. US Women Distance News: Kara Goucher Leaving Nike? WSJ: Kara Goucher Might Be Looking To Leave Nike According to an anonymous insider, Kara is negotiating with other shoe companies with a final deal expected in February (though Nike will have the chance to re-sign her due to a contract clause giving them the right of first refusal). *Competitor Q&A With Rothstein-Bruce Rothstein-Bruce talks about joining the recently formed Northern Arizona Elite and the running-related issues surrounding her pregnancy. Christin Wurth-Thomas Is Also Pregnant The 3:59 1,500 performer in 2010 who ran zero 1,500s in 2012 or 2013 is expecting at age 33. Video Interview With Abbey D’Agostino By LevelRenner.com At Her Local Shoe Store, The New England Running Company She talks about what she’s looking for next year when she goes pro and some interesting Facebook messages she’s received since winning NCAAs, including some indirect marriage proposals. Pre-Season Women’s Watch List For The Bowerman Unveiled Abbey D’Agostino, Cory McGee, Laura Roesler and Shalaya Kipp make the list. Kenyan Writer Complains That The AK XC Series Meets Have “Lost The Oomph” And Are Boring He calls on Athletics Kenya to force runners to race more series races and criticizes Asbel Kiprop and Geoffrey Mutai for dropping out of the recent Eldoret 12K race when they fell off the leaders. No Resolution In Sherone Simpson Doping Case As The Trial Will Continue Into Next Month Simpson’s story was backed up, however, as the supplement she claimed to be taking (Epiphany D1) was confirmed to contain the banned stimulant Oxilofrine, which she tested positive for. The label did not list it as an ingredient. Asafa Powell Testifies That He Didn’t Even Know Sherone Simpson Was Taking The Same Supplements As Him Or Working With Trainer Chris Xuereb Weren’t the three of them all together in Italy at the same time? David Epstein, Watch Out: LRC Guest Column: The Doping Double Standard In American Sports Needs To End: Track Star Tyson Gay Can Only Wish He Were In The NFL Former NXN qualifier and now Columbia University student Sami Aziz talks about the doping double standard in the US. If Tyson Gay were in the NFL, he’d have competed at Worlds this year. In track, his career might effectively be over. Pro/Con Debate – Should Every Big Track Meet In The US Be Held In Eugene? *Discuss On MB: Eugene: track ghetto or capital? No: LRC Eugene Fatigue: It’s Not In The Sport’s Best Interest To Have Every Big Track Meet In Eugene Hayward field is amazing. It’s our sport’s Fenway, but the Red Sox go on the road half the time, don’t they? *Abrahamson: Eugene: Track Ghetto Or Capital? We loved this piece from last month and it inspired us to write our own. Yes: Texas A&M Coach Pat Henry: TrackTown USA Earned NCAAs Do you think all big meets should basically go to Eugene? Email us and we’ll post your column. Men’s 2014 Preseason Watch List for The Bowerman Announced List includes Lawi Lalang and Anthony Rotich. LRC Mark Coogan Talks About His Move To New Balance We caught up with the 1996 Olympian this afternoon to ask him about his move. 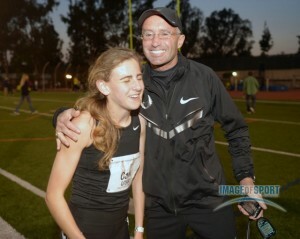 Who’s coaching Abbey D and Dartmouth this spring? Is Abbey following him to New Balance? What happens to Ben True and Sam Chelanga? How hard was it to say goodbye? 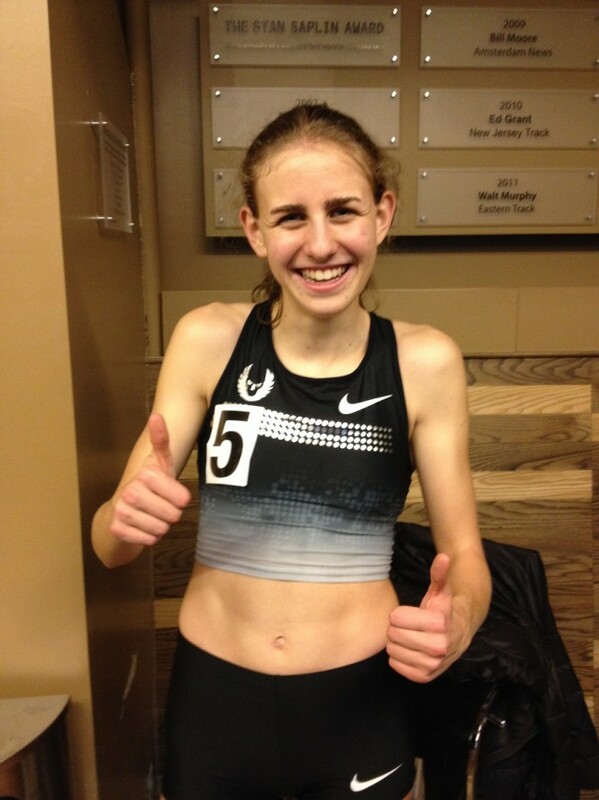 Extensive Interview With Abbey D’Agostino By Gary Cohen She talks about this year’s XC Champs, plans for 2014 and decisions about pro running. The interview is from before the Mark Coogan-New Balance announcement, so she doesn’t comment on that. *New Balance Press Release: Abbey D’Agostino’s Coach Mark Coogan Leaving Dartmouth To Lead Coaching For New Balance All of the shoe companies are seemingly starting their own groups. 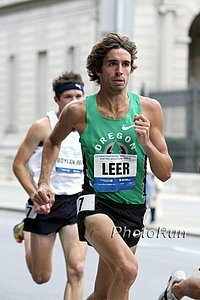 American Field Announced For 2014 Boston Marathon – Ritz To Make Boston Debut And Will Compete With Desi, Meb, Shalane And Many Others Also in the field are Jason Hartmann and Nick Arciniaga, while the US women are led by Shalane Flanagan, Desi Davila and Amy Hastings. That’s A Bummer: Dave Bedford Says Kenenisa Bekele Unlikely To Run London Marathon Bekele and Mo Farah debuting on the same day was probably a lot to hope for, but if any race could have made it happen, London was it. Marathon On A Track: Monika Kalicińska Breaks Women’s Indoor Marathon WR By 3 Minutes With 2:53 She ended up running the marathon as a backup after the Dallas Marathon was cancelled due to an ice storm. Runner’s World Reviews The Race For The Most Marathons In A Year Apparently there were 3 people with attempts in 2013. Australian Trent Morrow ran 161 to break the previous 157 mark held by Larry Macon, but Macon bested that with 239. In Denmark Annette Fredskov ran 366, but many were unofficial training runs, so won’t count as a record. Russia’s Olympic HJ Champ Ivan Ukhov Jumps 2.38m World Lead At Chuvashya Governor Cup In distance action, Worlds 1,500m finalist Elena Korobkina won the 3K in 8:55.90, Anna Shchagina the 1,500m in 4:14.38 and European bronze medallist Maryna Arzamasava took the 800m in 2:04.76. Elsewhere, Jenn Suhr opened her season with 4.55m in Colorado and Olympic PV champ Renaud Lavillenie cleared 5.93m in France. A-Rod Banned For Entire 2014 Season For Drug Use In an appeal, he had it reduced from 211 games to 162, but it is still the longest ban for drug use in baseball’s history. Common Sense Science: Study Finds Ultramarathoners Are Healthy, But Frequently Injured There has been debate about whether more running leads to more health and in this instance the study showed it did minus the higher overuse injury rate. Boston’s New Police Commissioner Has Run The Boston Marathon 18 Times Commissioner William Evans has a best of 3:34. Previously Unidentified Runner Dies After Being Found Unconscious In New York City New Year’s Eve He died Thursday after being taken off life support. Prep 400 Runner Javon Francis Wins Jamaican People’s Choice Performance Award Francis was chosen through online voting for his impressive performance in Moscow, anchoring Jamaica’s 4 x 400 team to come from behind and get a silver medal. Dozens Of FBI Agents To Be Sent By US To Russia To Help Maintain Security During Sochi 2014 This follows bomb attacks on consecutive days last month that killed 34 people and the discovery of 6 bodies in the region 186 miles east of Sochi. Russia Reveals Protest Zone 18 Kilometers From Sochi 2014 Venues Similar protest zones were set up during the Beijing 2008 Olympics but were hardly used as they were located so far from venues. Telecommunications Company Digicel And MVP Track Club Partner To Support Grass Roots Athletics Program In Jamaica The goal of the program is assisting student athletes and coaches in developing their fundamentals in order to find new young talent in Jamaica. Fans Ask David Oliver Questions In Twitter Interview First question was if he ever does any distance running … his longest runs are reps of 300m. New Professional Running Team Northern Arizona Elite Forms In Flagstaff, AZ This is a separate group and true team unlike the earlier-announced Team Run Flagstaff and includes team members Ben and Stephanie (Rothstein) Bruce, 2:13 marathoner Jordan Chipangama and World Championships half marathoner Maegan Krifchin. It will be headed by Ben Rosario and sort of picking up where adidas/Greg McMillan left off. Oregon Indoor Track And Field Preview: “Life After English Gardner, Elijah Greer And Jordan Hasay” They’ll be fine on the men’s side distance-wise as they have Mac Fleet, Edward Cheserek and Eric Jenkins and Trevor Dunbar if they’re healthy. 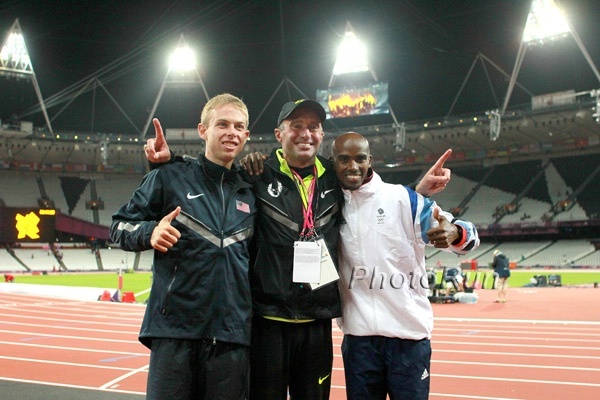 LRCMeet Japan's Galen Rupp, Run Through The Finish Line, Is Cricket Bigger Than Track? And Who Drinks More? The Irish Or Aussies, Race Walkers Or 1,500 Runners? Happy New Year. We hope you are excited about 2014 like we are. We were pleased to see the calendar turn because a New Year always ends the total lack of races that take place at the end of each year. Albert Rop Wins Campaccio XC Race Over World XC Champ Japhet Korir And Imane Merga Rop won in 28:19 with Korir 28:22 and Merga 28:25. World steeple silver medalist Conseslus Kipruto was 5th and the US had some representation with Chris Barnicle in 8th. Ethiopian steepler Hiwot Ayalew won the women’s race with 2009 World 10K champ Linet Masai 3rd and World steeple champ Milcah Chemos 6th. Tons Of Stars Running In This Saturday’s Kenyan Police XC Championships According to this article the men’s field will include Wilson Kipsang, Geoffrey Mutai, World junior XC champ Geoffrey Kipsang, World 5,000m bronze medallist Isaiah Kiplangat, Moses Masai and a slew of mid-d runners including Asbel Kiprop. On the women’s side, World junior champ Lucy Kabuu will face Edna Kiplagat, Linet Masai, Florence Kiplagat and World 5,000m silver medalist Mercy Cherono. Asbel Kiprop Denies Gun Assault/Alcohol Claims Kiprop has issued a vehement denial and says he was just looking for grub after watching a Premiere League match with his training mates. LRC Nick Symmonds Is Thrilled To Have Say At Brooks – “Just sitting in Eugene twiddling my thumbs waiting for Nike to call me – that was not satisfying for me.” In an exclusive chat with LetsRun, Symmonds reveals the financial the deals offered to him by Nike and Brooks were similar, but at Brooks he’s got input. Symmonds also talks about training without Mark Rowland, how fortunate he is as compared to Leo Manzano, and the high quality of journalism one can find on LetsRun.com each day. LRC Analysis: 4 Quick Thoughts About Symmonds’ Move The Brooks Beasts Track club has a high profile member now as Symmonds is leaving Nike, Oregon and coach Mark Rowland to move to Seattle and Brooks. 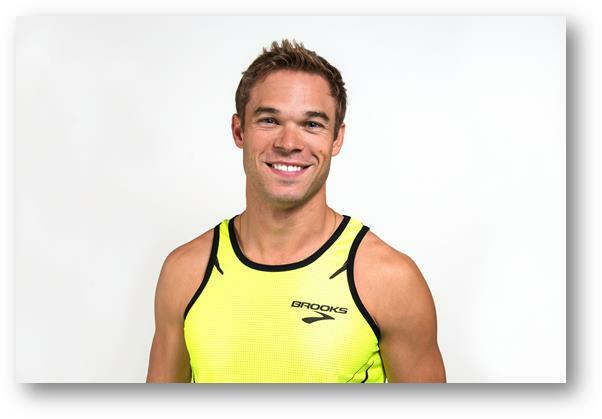 More: Press Release From Brooks With Video Announcement From Symmonds: Brooks Running Company Jumpstarts 100th Year with a Clear Focus on the Future of Run, Signing Olympian Nick Symmonds. MB: *Nick Symmonds’ Free Agency Is Soon To Be Over – New Shoe Deal Coming At 1pm ET – – Update has signed with Brooks!! *Who does Brooks cut to afford Symmonds? *Who does Nick Symmonds think he is? LeBron? 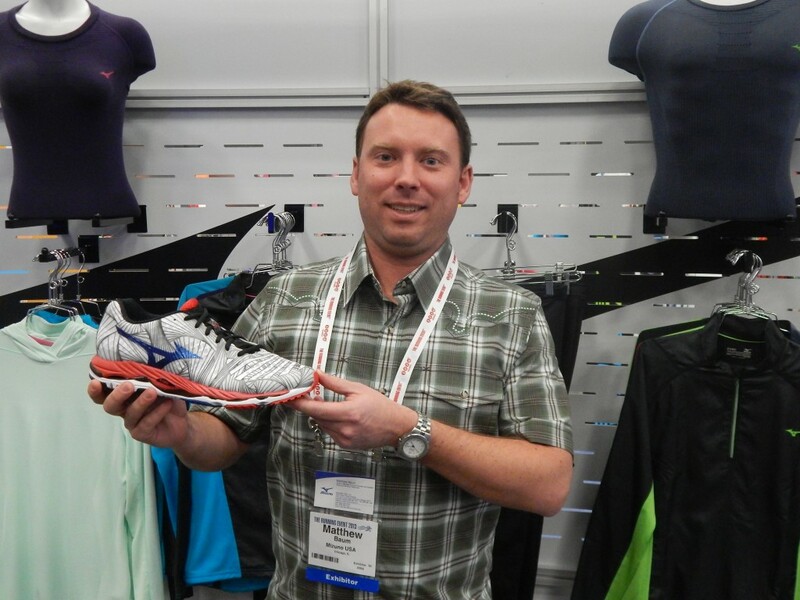 Mizuno used its "One Minute/One Product" pitch at the 2013 Running Event to talk about the new Mizuno Wave Paradox.